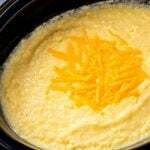 Slow Cooker Cheesy Grits are creamy and cheesy, and make a delicious side dish or main. 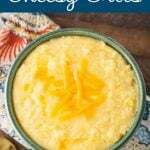 These crock pot cheesy grits are so easy to make, and the results are a comforting bowl of grits, Southern style! I love a good bowl of grits! There are so many yummy ways to make them. This recipe is a retro recipe, as I like to call them, from when I was a kid. Very simple and delicious. Those always seem to be the best ones! If you count the salt, this recipe only has 6 ingredients. 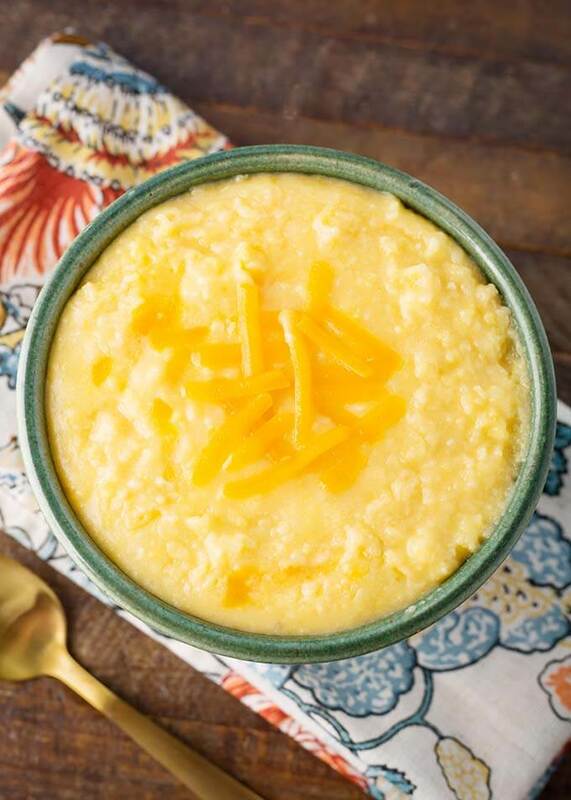 There are many ways you can dress these grits up, but we’re keeping it simple today! Also, this is a “Dump and Start” recipe, which means you don’t need to cook any ingredients before adding them to the crock! So easy! So What are Grits, Anyway? 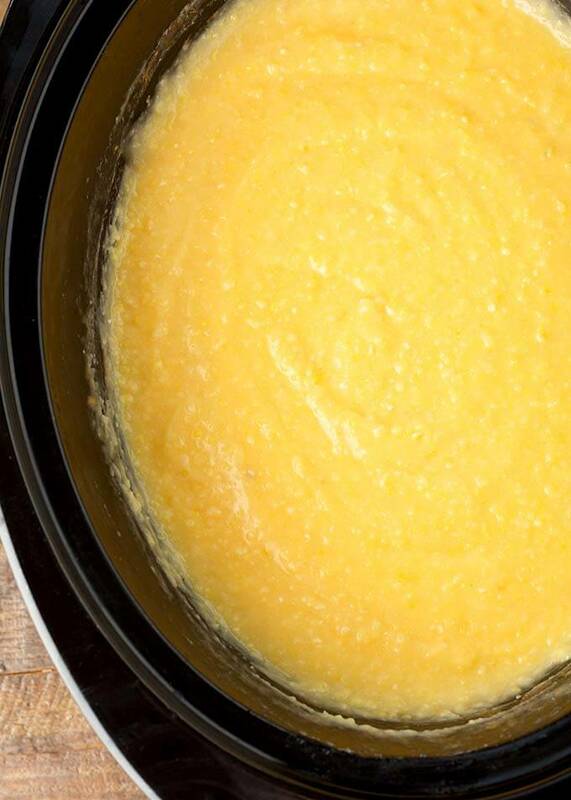 Grits are coarsely ground corn kernels prepared by boiling with water and/or milk. You can also find hominy grits made from ground hominy. Grits can be Yellow or White. I haven’t noticed a taste difference. Grits are very American, unless you are Italian. Then you are probably familiar with Polenta, which is a finer ground meal. The two are very similar, and can be used interchangeably (at least I do). You can prepare grits on the stove much faster than in the crock pot, however, I love letting them cook low and slow all day. I like that I don’t have to babysit the pot and can do other things while the grits are cooking! 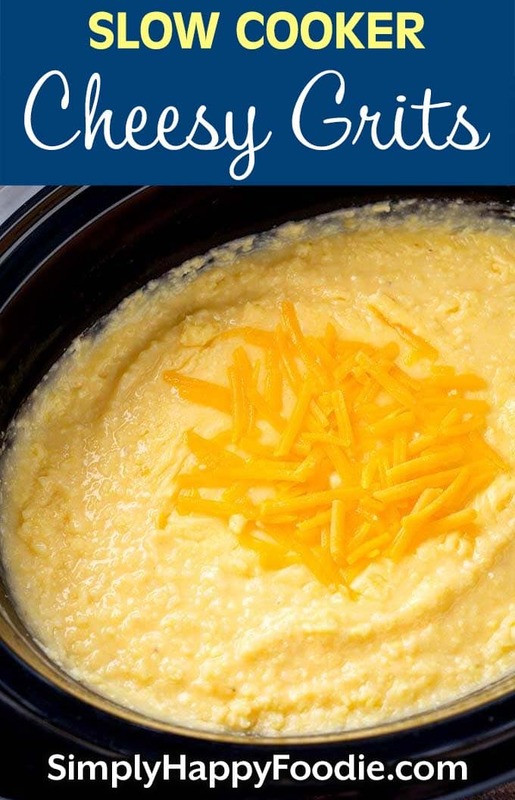 Crock pot cheesy grits are awesome! 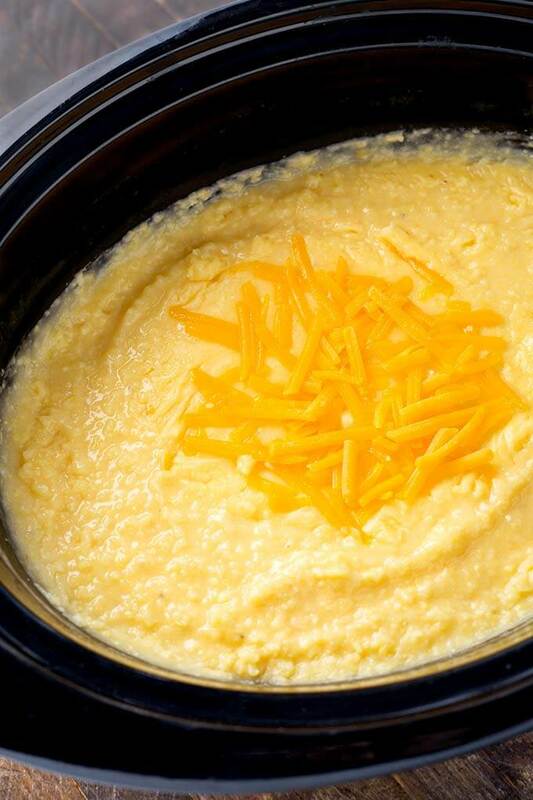 Add the grits to a 4, 6, or 7 qt crock. Add the water, milk, butter, and salt. Stir. Place the lid on and cook on Low for 6-8 hours. Stir once in the middle and once towards the end of cooking. About 10 minutes before serving, stir in the cheese. These grits we’re just right! I had them with meatloaf. I know that sounds weird but we don’t eat potatoes.